Say goodbye to sweaty, restless nights. These Therapedic brrr° cooling sheets combine the powers of cooling minerals, active wicking and rapid drying to create a “Triple Chill Effect” that will help you stay cool, dry and comfortable all night long. The sheet sets have an instant cooling sensation and a luxurious feel with 500 thread count, and they’re naturally wrinkle free. Extra wide elastic stays snug on mattresses up to 18 inches deep, while directional labels help with easier bed making. Better sleep means you’ll wake up feeling refreshed and ready to conquer the day, and brrr° cooling technology is permanent so it won’t ever fade or wash out over time. 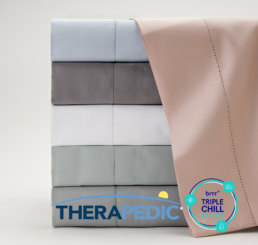 Therapedic brrr° cooling sheets are available exclusively at BedBathandBeyond.com. When the mercury rises, go for effortlessly cool style at work and at play with these Coki Beach brrr° Performance Polo Shirts by Southern Tide. With natural cooling minerals, active wicking and rapid drying, these shirts are made with stretch fabric for ultimate comfort and ease of movement. They’re also rated UPF 50+ for excellent sun protection wherever life takes you. A 3-button placket with laser-engraved branded buttons and longer length split tail makes it easy to tuck these polos in for a more polished look. Or wear it untucked for a more casual vibe. brrr° cooling technology is also featured in these Intercoastal Performance Sport Shirts by Southern Tide, which are a great choice for the office. As the days get longer and warmer, stay cool and comfortable in the new line of Intercoastal Performance Shirts by Southern Tide featuring brrrº cooling technology. 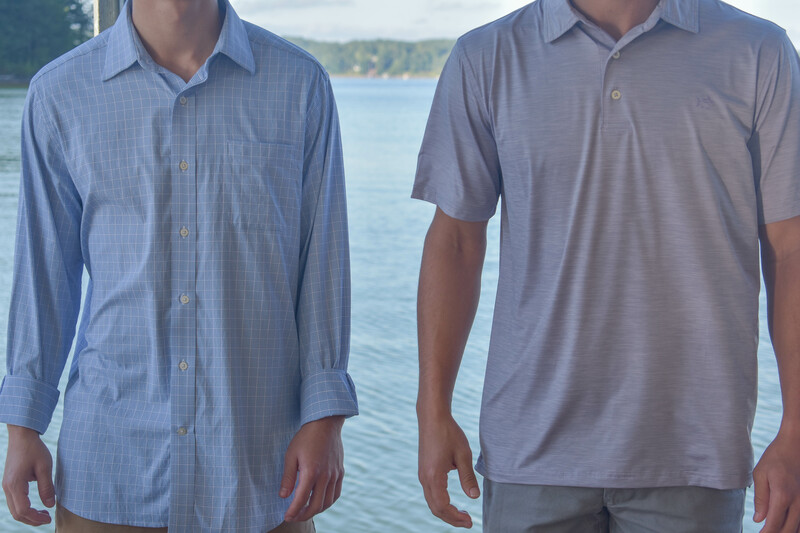 These lightweight button-down shirts have a classic fit and combine brrr°’s natural cooling minerals, active wicking, and rapid drying to create a Triple Chill Effect that won’t ever fade or wash out. Designed with ultimate comfort in mind, these shirts feature eyelets under the arm for extra ventilation. 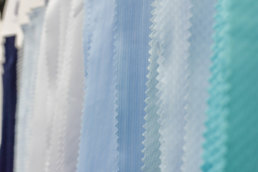 They’re machine washable, making them a hassle-free choice for the office or summer vacations. 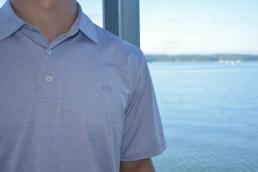 Southern Tide recently released a new performance polo featuring brrrº cooling technology. It comes in 4 different colors with a classic fit that is cool, breathable, quick drying and has a UPF of 50+ to protect you from the sun. Many people overheat and sweat at night, and pajamas and bedding can trap body heat and make the problem worse. Get a better night’s sleep with new Therapedic cooling sheets featuring brrr° Triple Chill Effect technology. They’re available exclusively at BedBathandBeyond.com. 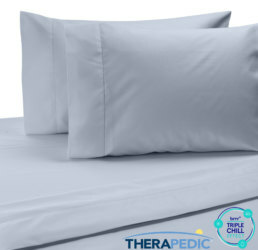 Therapedic brrr° sheets have natural cooling minerals, active wicking, and rapid drying to draw heat and moisture away from your skin to keep you comfortable and dry all night long. 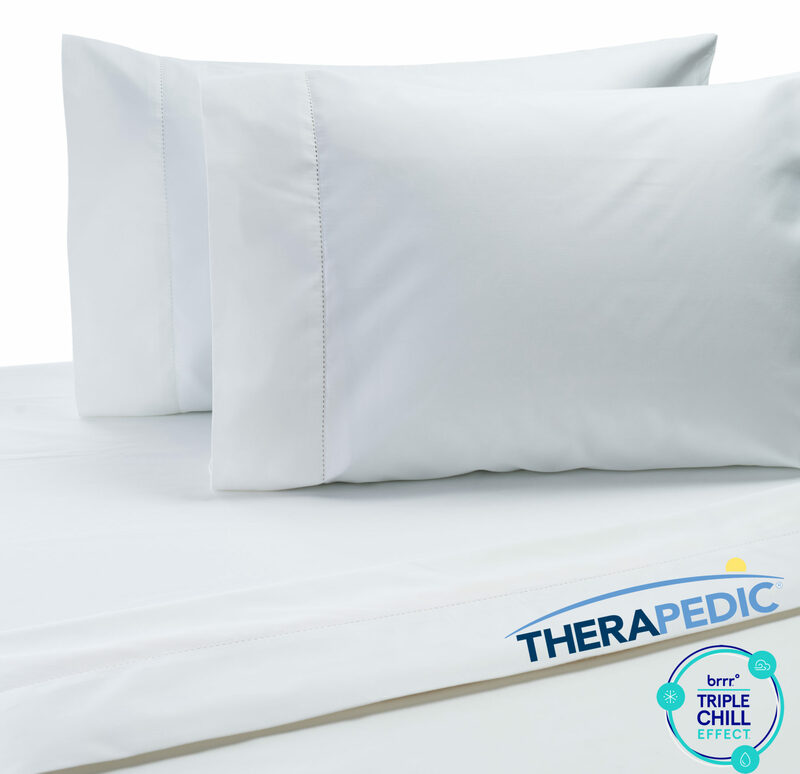 The new line of Therapedic brrr° sheets have a thread count of 500, and the sets come with a flat sheet, fitted sheet, and pillowcases with a European envelope closure for a more polished look. Fitted sheets feature extra wide elastic to hug mattresses up to 18 inches deep, and include directional labels for easier bed making. The sheets are available in several colors, and they are washable and naturally wrinkle free. At Atlanta-based brrr°, cool has become really hot. That’s because the textile technology company has figured out how to create yarn and fabric that can reduce skin temperature by two to three degrees, and national brands are jumping at the chance to make their products chill out. The technology incorporates what brrr° calls the triple-chill effect, a combination of cooling minerals embedded in the yarn, accompanied by moisture-wicking and rapid-drying properties. Cotton, nylon and polyester blends; rayon; and spandex are among the types of yarn and fabric brrr° licenses to companies such as baseball cap distributor The Game, Greenville, S.C.-based Southern Tide clothing, The Gap, Jos. A. Bank, Men’s Wearhouse and DOWNLITE bedding. 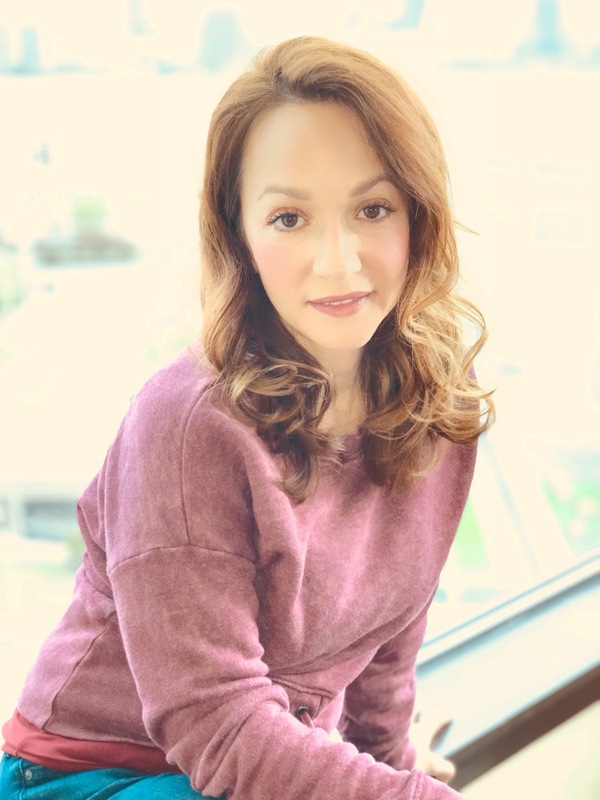 Mary-Cathryn Kolb, a veteran of Tom’s Shoes and Spanx, launched brrr° in 2014 after pursuing the idea of clothes that could help people feel cooler – not warmer – and learning all she could about what it takes to be a successful startup. 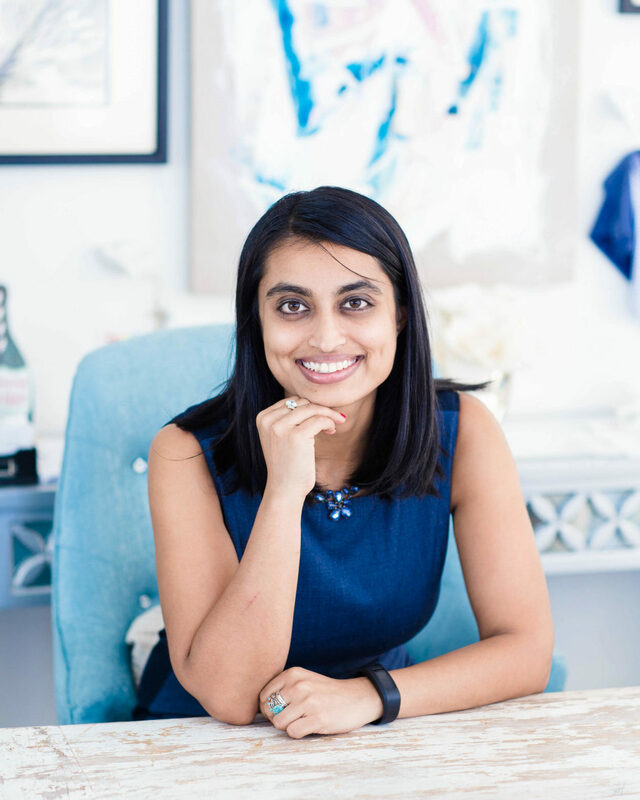 She compiled a business plan and started raising capital, then quickly established a board of directors and began hiring her team of 11. Kolb determined that Taiwan, where she says leading-edge textile technology is born, would be the ideal location for manufacturing what she hoped would be an industry disruptor. She says it was critical for all these elements to come together fast and in parallel. Kolb was fortunate to link up with launchpad2X, an Atlanta-based program that fosters the growth of female entrepreneurs. 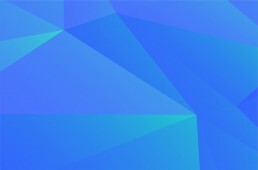 She also found support from Georgia Tech’s business incubator, the Advanced Technology Development Center, and Venture Atlanta, an annual conference that connects investors with technology companies. In addition to fabric and yarn already being made into bedding, caps, men’s dress shirts and women’s clothing, brrr° this year will launch denim and a faux leather that will be tested in Ford minivans in China. 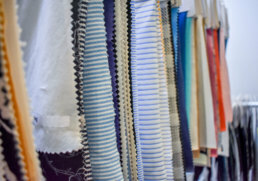 Kolb says the company recently filed patents on its next technology, which she describes as “the Uber of textiles,” referring to the industry disruption she expects from the new products. It’s a tricky time of year, with chilly temperatures in the morning followed by warm afternoons and cool evenings. To stay comfortable all day long, choose a couple of light layers so you can add or remove warmth throughout the day. Polos or these button-down brrr° performance shirts by Southern Tide paired with a light sweater or cardigan are a great choice for the office. For more formal wear for business meetings, you can’t beat the Jos. A. Bank 1905 Collection of suits featuring a brrr° comfort lining. For Casual Fridays, trips to the gym and casual weekend wear, we love this men’s Hybrid Short Sleeve Crewneck T-Shirt from The Gap featuring brrr° cooling technology to keep you dry and cool all day long. If you tend to overheat at night, this line of brrr° High Performance Cooling Sheet Sets by Downlite will help you stay comfortable so you get better quality rest. 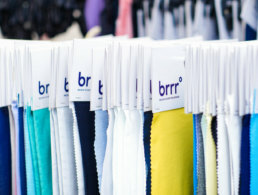 brrr°’s cooling natural minerals are embedded right into the yarn of the fabric, so it won’t ever face or wash out. We combine the minerals with active wicking and rapid drying to create a “Triple Chill Effect” that outperforms other products in independent lab tests. Congratulations to brrr° Founder & CEO Mary-Cathryn Kolb in being invited to join the Atlanta Business Chronicle’s Leadership Trust. The Leadership Trust brings together business executives in major cities to share insights and advice with their peers. Executives have discussed topics such as how to raise early-stage capital, how to find the best vendors for professional services such as legal and marketing, and how to navigate challenges that are common in a startup’s early years. Kolb will be featured in virtual roundtables and articles in the coming months, and we’ll be sure to share them here and on our social channels. Kolb was named Small Business Person of the Year in 2018 by the Atlanta Business Chronicle, the leading business paper in metro Atlanta. 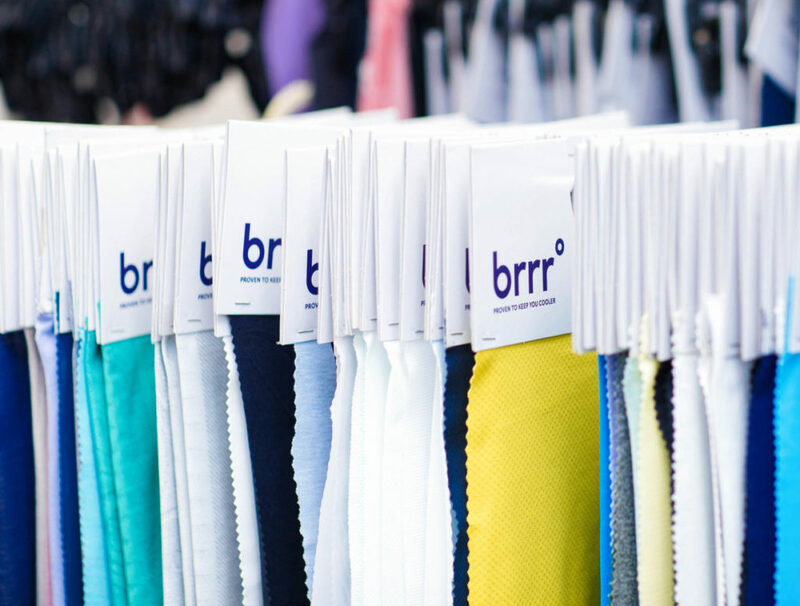 We’re excited to add a pair of seasoned textile and apparel industry veterans to team brrr°. Molly Kremidas and Valentina Henao bring half of a century of combined experience and knowledge to brrr°’s growing sales team. Kremidas was formerly Director of Sales for North America for compostable packaging firm TIPA. 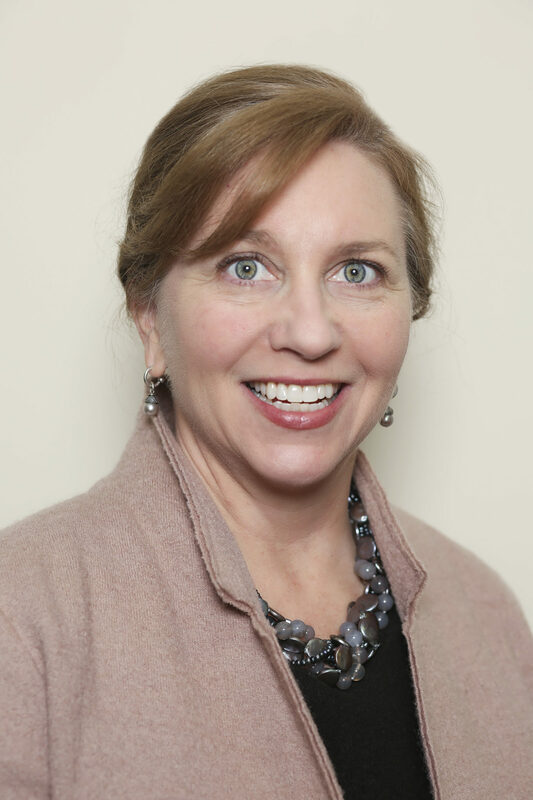 Earlier in her career, she oversaw product innovation and marketing at Nilit and worked at the C9 collaboration between Target Corp. and Champion (now part of Hanes Brands Inc.). Henao ran her own independent fabric consultancy for several years before joining brrr°, and earlier in her career, she worked at ITW Graphics Asia, Rethink Fabric, The Dow Chemical Company and The Moret Group. She began her career in sourcing at DuPont and INVISTA. 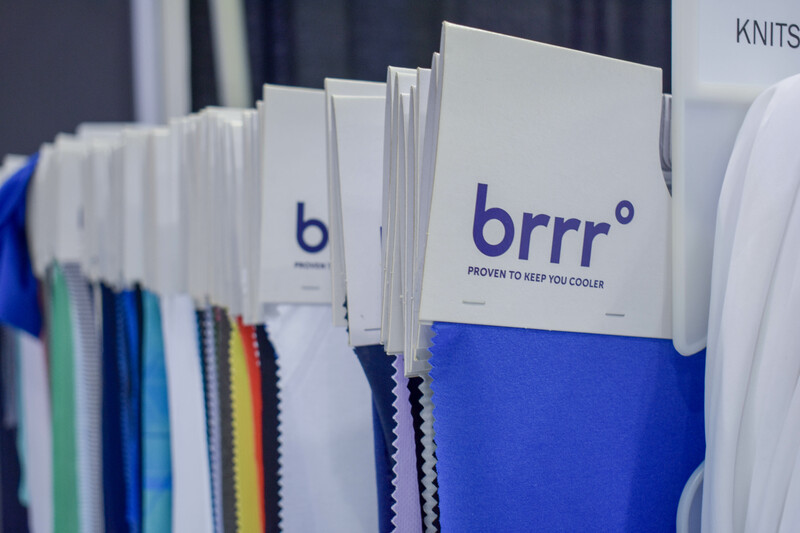 “Molly and Valentina bring incredible knowledge and relationships across the entire industry to brrr°, and we are so pleased to have them,” said Julie Brown, Vice President of Sales at brrr°. 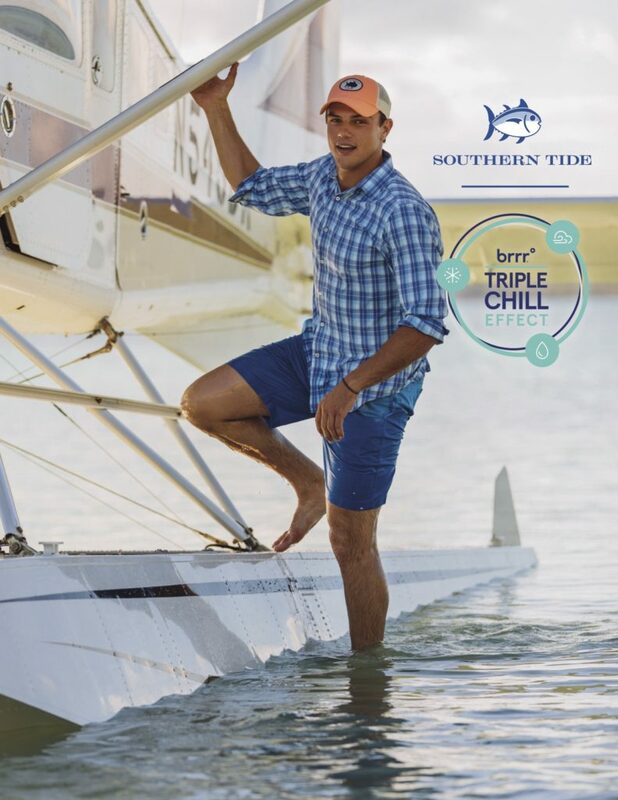 brrr° is excited to announce a major new partnership with Southern Tide, one of the largest coastal lifestyle brands. Southern Tide is introducing a new line of cooling performance clothing for its Spring/Summer 2019 men’s collection. 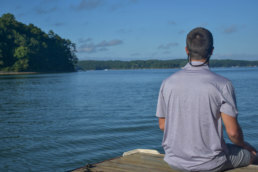 The innovative line of apparel includes the men’s gulf short, polos and other sport shirts that will keep men dry, cool and comfortable on even the hottest days. 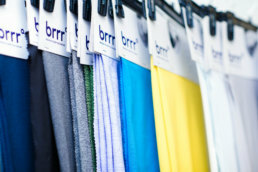 brrr° creates a “Triple Chill Effect” by combining the powers of natural cooling minerals, active wicking and rapid drying to draw heat and moisture away from the skin. The brrr° line will be available at Southern Tide signature stores and through wholesale partners beginning in late February, and it will also be showcased at www.southerntide.com. Additional Southern Tide clothing featuring brrr° will be available later this year.